I have worked as an educator in the state of Michigan since 1997. In 1994, I founded Vincent York’s Jazzistry as a way to use live performance to teach the story of jazz and its role in American history and culture. Like many educators, I am confused by the mixed messages that our state government seems to be sending out: how can we create new jobs and new industries, when at the same time we are cutting funding to education and the arts? Many research studies point to the importance of the arts in developing creative thinking skills. Earlier this year a Michigan State University study by the University Outreach and Engagement Center for Community and Economic Development, ArtSmarts, found that art, music, dance, and crafts are useful, valuable, and essential components for the economic recovery of Michigan and the nation. The study shows that MSU Honors College graduates who majored in science, technology, engineering and math (STEM) were far more likely to have extensive arts and craft skills than the average American. Those who were involved in printmaking, composing music, metal work and other crafts as a mature adult also tended to have more patents attached to their names. I perform in elementary, middle, and high schools all around this state. I have seen with my own eyes the immensely positive effect that the arts can have on our youth and the way that appreciation for and participation in the arts can open up healthy options for a young person’s future. This is changing in the wake of state budget cuts. In July 2011 the Michigan unemployment rate hit 10.9 percent. In this severe job crisis it’s disheartening to think that the public dollars “saved” by cuts in funding for education and the arts may end up being spent later on room and board for these young people in our prison system. 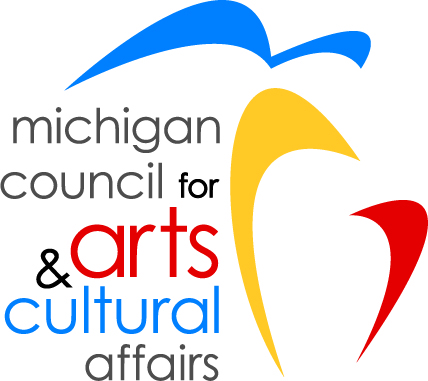 In light of these budget cuts Jazzistry is very grateful for the grant we received this year from the Michigan Council for Arts and Cultural Affairs. It, along with funds from the Ann Arbor Area Community Foundation, United Bank and Trust, Target, The Mardi Gras Fund, CS Partners, Zingerman’s Community of Businesses’ and other supporters, enabled us to reach 5,774 young people in schools around Michigan this year. Each year, more and more kids need Jazzistry’s services as their schools cut arts programming, but each year it’s getting harder for us to raise the money to reach them. I believe I speak for all of my colleagues in the art world when I say that we limit our children’s future when we deny them access to the arts. Art is not a luxury or a frill. In addition to the way art nurtures creativity and all-important STEM skills as described above, there are many other ways that art provides unique education opportunities. For example, Jazzistry embeds the arts into Michigan’s required curriculum, in subjects such as history, English, and the social sciences. 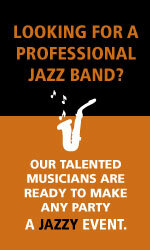 A live Jazzistry performance tells the story of the history, artistry, and ethnic roots of jazz. We explain how music integrated races and cultures a long time before the civil rights movement. Jazz is this country’s only indigenous art form, and its very existence testifies to the fact that the ethnic, racial, and cultural diversity of this country is a tremendous asset. Jazz—and all art—is a testimony to the resilience of the human spirit. Jazz, which was born between 1890 and 1920, thrived in adversity and raised the morale of our country during the Great Depression. Introducing today’s youth to this symbol of American freedom can help inspire them to overcome the challenges we face today. Vincent York may be contacted at info@jazzistry.org.